Roofing software is fantastic. It minimizes paperwork, saves time, and makes your company run more efficiently. Well at least it does all those things if everyone uses it. Often times, getting salesmen to start using or switch roofing software programs can be a struggle; they are set in their ways, and think they have it all figured out already. So what can you do to get them on board with the new software? Keep reading to see our top tips for getting your salesmen to make the switch. While it can be time consuming, and feel a little like time wasted, taking the time to actually train your salesmen on the software can make a big difference. Giving them each a log-in and saying use this now, is easier, but less effective. Seeing as you, the owner or manager, is probably the one who picked it out the software makes sense to you because you have been researching and learning about it. For your salesmen, it is something totally new that they need to put effort in to learn to use, and many of them don’t want to take that time out of their already busy schedule to learn it. The easiest way around this is for you to schedule that time and do it with them! Have everyone block out an afternoon, bring in an expert if you need, and go through it together. Do a mock project from start to finish so that everyone sees all the basic functions and features. Make sure everyone can access the software on the devices they need and go through any changes in usage for each device. It may seem like a long way to spend an afternoon, but it can help make a big difference in getting everyone on board. Sometimes being in a company doesn’t mean you see everything. No matter how involved your salesmen are in aspects of the business beyond sales and projects, you know more about it than they do. You know where the biggest glitches are, where the most problems arise from, and where things need to be changed; more likely than not, implementing the software is a way to deal with a lot of those problems. So explain that to them. Detail out what is going wrong or could use some improvement, and show them how the software will help solve some of those problems. If they can see the direct effect that using the software will have, it will encourage them to view the switch as a good thing, rather than a tedious one. A lot of salesmen get set in their ways. They have their routines that get that job done and they like it that way. So when you try and change that routine, even a little bit, they are going to have questions. Take the time answer the questions and address their concerns. From will it change my whole system to will it work on my phone, all the questions are important to them. Taking the time to see what they are specifically concerned about, and to address their concerns will, ideally, make them more open to trying the software. It is also important to be patient when addressing their concerns; seeming irritated by the questions and comments will make them even less inclined to give the software a try, so stay positive and understand that this might be a bigger change than you realized for them. More often than not, forcing use of something is the quickest way to make sure it is detested. So try and forgo telling your salesmen that they HAVE to use the new software and that’s that. Instead try doing a trial period with it. Say they have to use it for two weeks or a month or however long you feel is appropriate, and that you will all come together to discuss benefits and problems with it after at that time. This gives everyone the opportunity to try out the software, find what they like and don’t like, and discuss everyone’s thoughts surrounding it. Doing a trial gives you the opportunity to make them use the software without it being a completely forced idea. It also gives your salesmen the chance to actually see if they like the software, or for you to realize that the software might not be the right one for your company. When picking a CRM system, most companies look at the features: which ones do they have, what do they do, and how will it apply to your business. The most popular features are typically the sales tracking, the cloud storage, message boards, and reminders. But what about some of the features that you might not think about, that can determine how well the software works for you? People tend to overlook some of those other features like document creation and layout, accessibility, and the layout of the system itself, which is what we are going to dive into below. When you are looking at all the different systems, it is easy to get overwhelmed and busy looking at what it will do for you, but what happens when you make the choice and then you can’t figure out how to even get to the features you wanted. Many of the systems out there have gotten complicated; it isn’t easy to understand what you are looking at and it isn’t easy to get to where you want to go within the system. 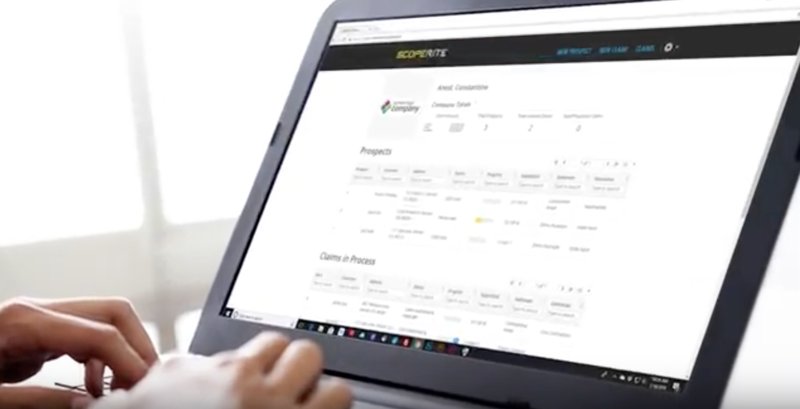 Being able to use the system you choose is important, which is why Scoperite takes great pride in the easy navigation and simple layout of our system. We don’t think you need a ton of bells and whistles, but we do think that you need to be able to find the features you have. Scoperite is broken down into a series of simple tabs and tables. There are three different tables on the main page for the three major stages of a claim; each table contains the claims within that stage and the claims can be searched and sorted by claim number, address, or client name. The tables make it easy to access the claims you need, as well as the features that you wanted for those claims. The tabs allow users to find the production section, the reports section, and the settings section. Each of these tabs as a few different pages within it based (i.e. the production calendar or the employee list) that are clearly labeled and can be visited by simply clicking on the icon/word. Beyond that, there isn’t much to explain when navigating Scoperite, it is simple. Obviously, every system and every company are different, so you may need one with more features that takes more time to learn and navigate, but remember when you also want the system to make your company more productive, not more complicated. 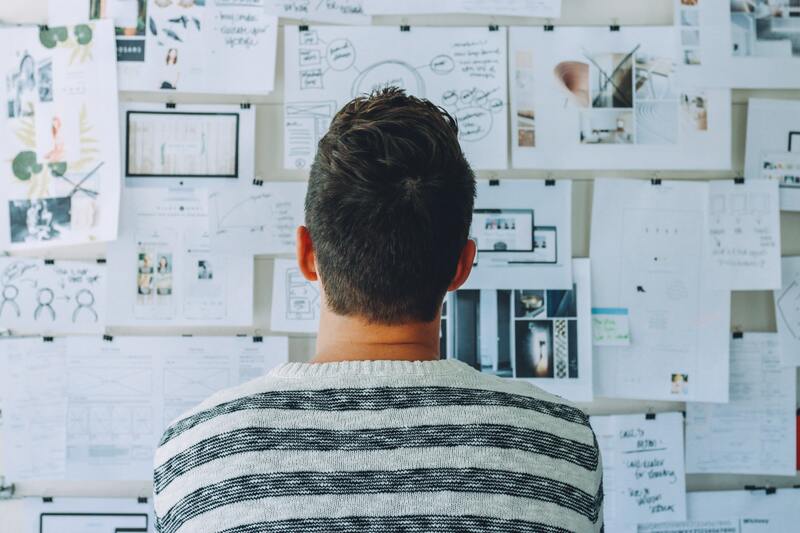 When you are doing your research about CRM systems, take the time to check out some of the lesser thought about features to make sure you truly are picking the right system for your company. Most CRMs are pretty similar. There really is no way around that; they all have similar features that serve similar purposes, regardless of the industry or intended function. So what makes them different? And how do you know really which one is right for you? We have talked before about picking the right CRM for your company here and here, but today we want to talk to about how Scoperite is different than many of the other systems. 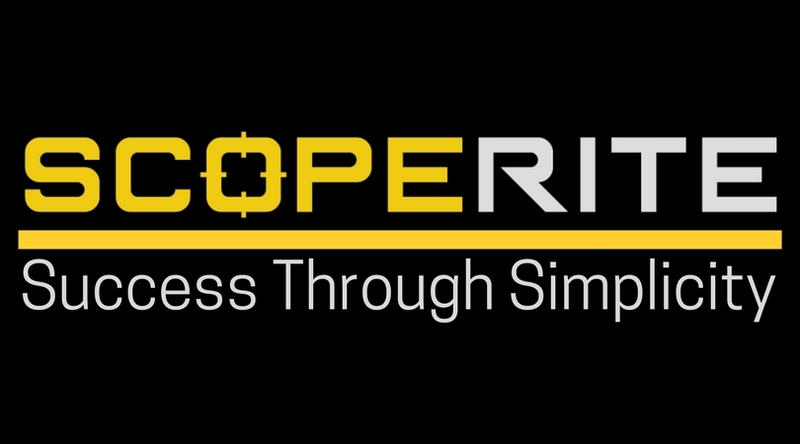 At Scoperite we stand by our goal of success through simplicity, which means making your life easier. It means not have a bunch of useless features, it means having an easy to use layout, and it means not being the end-all, be-all software system for your company. Many of the CRM systems out there are made to be the last piece of software that you will ever need; it is all-encompassing, has all the features from an email server to sales management to budget reports, and is meant to be used for anything (and everything) your company could possibly need. But who really needs that besides gigantic corporations? Not small businesses that’s for sure. Even medium and some larger companies don’t need something that can do it all. In our ongoing goal of simplicity and reducing stress, we understand that most small businesses, especially within the construction sphere, don’t need an all-encompassing system, which is why we aren’t one. We know that sounds weird; flaunting something that we aren’t, especially in comparison to our competition. We also know that you need a system that is going to work for your needs, so why pretend? 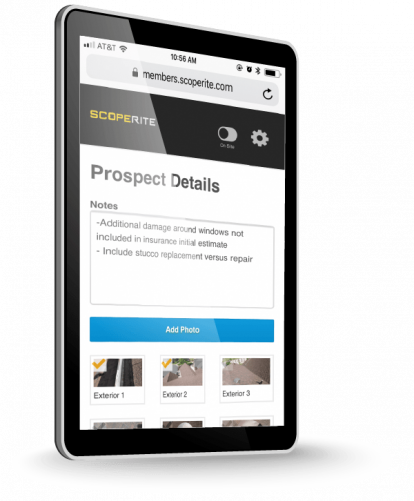 Scoperite is unique in that we are a claims management software, and nothing more. We know that most companies already have a system in place for emails and budgets and whatever else, but that what most companies need, especially in the construction sector, is a system to manage claims and projects. Between Google, Microsoft, and Amazon there are enough free and affordable services for all your other business needs, so why uproot that just to use the parts of a software system that you need. Scoperite allows users to input email addresses into the system so that messages can be sent and seen both on the platform and from within your email system, eliminating the need to get a whole new email system set-up within the CRM. It also let’s you store documents and track payments within each claim, so it is easy to get a quick picture of where each project is at. Do you need more than that? Probably not if you are already operating successfully. Adding Scoperite will simply continue to make your life easier, and your business more effective at what you do. If you are interested in learning more about Scoperite’s features and functions, please sign-up for a demo at www.scoperite.com! As is the case with any type of advertisement, CRM companies typically spend their time telling you what you need and why you need it. Rather than trying to address the problems you have and find what works for you, they tell you your problems (and then explain how their system can fix it). At Scoperite, we don’t believe to know what is best for you, which is why we invite you to sign-up for a demo and see what we are all about, but we understand that it isn’t for everyone and we won’t push our typical customers needs onto you. 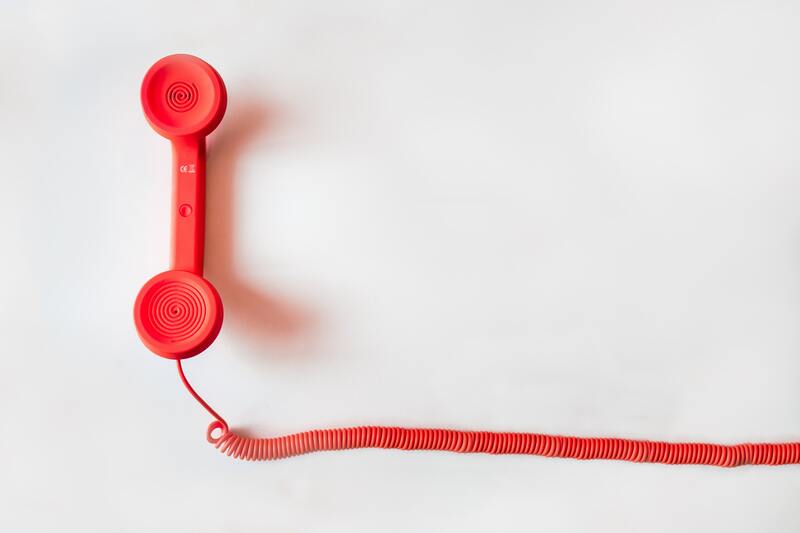 In doing our best to continue that trend, we want to talk about finding the right CRM for your company, because there are a lot of them out there that can address almost any problems or needs that you may have. Below we will dive into strategies on finding the best CRM for you company. Every business is different, even within industries. They all have different cultures, different paces, and different ways of doing things. So CRM systems that say they specialize in X industry are just trying to hoodwink you into thinking they understand what your business needs. The only people who can properly identify what your business needs are you and your employees. Identifying what your business needs doesn’t mean looking for areas where a CRM might help, it means looking at your business as a whole and seeing what needs fixed. It could be the way the phones get answered, the time between follow-up calls, different people working on the same client, or anything! Take a hard look at what you think you need, and then ask your employees, or even ask clients for feedback; take all of that information and use it to see it to see what you need, because in the end it might not be a CRM. Once you know your needs and/or problems, take a look at a few different CRM systems that you think might be good, and identify exactly what features will be helpful to you in regards to the specific needs you have already identified. If most of the features aren’t directly applicable to what you need, move on to another system. Do this for the systems you think might be good; if there are at least 3 or 4 features that you think will directly apply to your needs, make a note of it. Once you have a few different systems narrowed down, sign-up for demos. Take that time to really dig into what the software can do, and if it is worth adding to your company. In addition to demo a few different CRMs and seeing if they are what you are looking for, also take the time to look at other available options as well. The Google Business system and Microsoft Office 365 are other great avenues to solving certain problems, and can cheaper and easier to implement as well. When it really comes down to deciding to add a CRM or not, make sure you are taking the time and effort to research what you need and how it will help you be better, not just jumping in because other companies in your industry have it and you think it might help you too. Your needs are what need to be answered to, and it may not be a CRM that is going to do that. Raise your hand if you know what a KPI is! I’m going to take a wild guess and say that if you never took a business class, you don’t know what I’m talking about, at least not the specific terminology. A KPI is a key performance indicator, or said more simply, it is a measure of success. KPIs can be used in every facet of a business to determine how well it is doing. From marketing to finances to employee satisfaction, KPIs are in place so that you know how well everything is going. As simple as that sounds, KPIs can get confusing in a hurry, especially if other people are telling you what they are (or should be). The only people who can truly know what the KPIs are for your company are you and your employees because you know the business better than anyone else. No matter the type of business you run, there will always be business to business connections and outside people giving you advice. They can be financial advisers who help you keep the money flowing, accountants who can tell where you to look for explanations of losses, or marketing agencies swaying you in the direction of trends. All of these people mean well, but they can make determining success more difficult for you. They are experts in the broad spectrum; they know finance, or they know marketing, or they know employee management, but they don’t know your company. While they can lead you in the right direction, the accountant’s numbers might not be the most accurate way to measure success because of the time-frame your projects take. The marketing agency might know the best way to get your name out on Google, but does it line up with your goals? You and your employees know the everyday ins-and-outs of your company, and you know best what marks your success. So take the time to take note of those things. Employee satisfaction may be determined by benefits or fun activities rather than base pay. Sales might not be measured by quarterly numbers. Marketing success may still be in the paper realm, not online. Look at how you currently measure your successes, those are your KPIs. Find ways to measure them more consistently (if need be) and share them with everyone you work with, both inside the company and out. Why is it important to know what you KPIs are? If you have measures of success that work for you, why re-name them and clarify them? So that you can share them, and do what is best for your company. Earlier we talked about working with businesses outside your company, and how they will have their own KPIs for your business, those companies are why you need to identify your own KPIs. You know what works and what doesn’t for your specific company, so share that with the other businesses you work with so that what they do for you can be more effective. If they are working to meet your standards of success, then you will likely see more of it. It makes everyone more productive when they know what the goals are, what aspects of the business are being looked at most closely, and where improvements can be made. Knowing and identifying your own KPIs gives you full control even when you are working with other businesses; allowing you to create and maintain higher levels of understanding, control, and, of course, success. At the risk of sounding like a broken record, we want to talk about reviews…again. It’s not that we are trying to be boring and repetitive, it’s just that reviews are really, really important when it comes to keeping your contracting business successful. No matter what kind of contractor you are, you need reviews on your website, your google page, your yelp page, and where ever else your business has a presence. These reviews are good for a variety of things, but the two biggest are that customers can see and read them, and they can influence your online search rankings. Below we are going to dive into why you need to have reviews for both of those reasons. When people need something, they turn to the internet. Whether it is for advice, entertainment, or information the first thing most people do, is jump onto Google. What does that matter to you? It matters because that is where they are going to find you, or try to find you at least. While there are a lot of different things that contribute to your rankings in online search, reviews are one them so it is valuable to have them. When people are searching for contractors, they are going to get a lot of results because there a lot of contractors. One way to work towards the top of that search is to have reviews (and lots of them) on your google page and on your website. It might not bump you to the number one spot, but if people are looking and see you have a lot of reviews, it’ll make them more likely to click on you even if you are further down the page. Piggy-backing off of influencing rankings, you need reviews to convince your potential customers to pick you. When they get on search, which they will do, they will look at your website, check out your photos and maybe your team, but what is going to make up their mind is your reviews. They want to see what other people have said about you, if your guys were clean, if the job was done correctly, were you attentive to specific needs? Those are the differentiating factors that people look at when they look for a contractor; anyone can do the work for more or less the same price so they are going to be looking for how easy you were to work with and is it worth it to work with you. 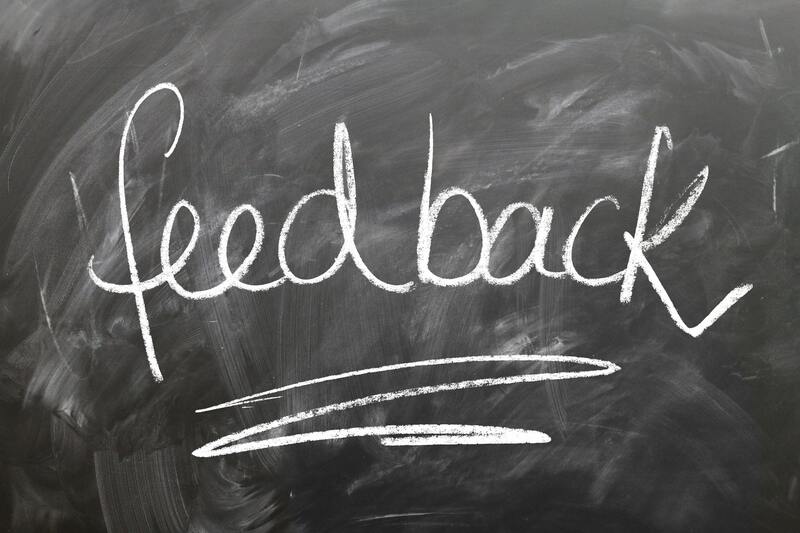 Having lots of reviews looks good for one, because it shows the volume of your business, but also gives them typically all the information they want because every review will talk about different things. So to wrap up. Ask for reviews. Then ask again. Ask until every customer you work with fills one out because it is better to have them (even if they aren’t all good). The New Year gives people an opportunity to make changes. While you can make changes at any point in time, the beginning of the year gives some people the motivation, determination, or whatever else it is that they need to actually get up and change. But that doesn’t actually make changing any easier. Making changes to your life, no matter what kind of change it is, is hard. There really is no other way to put it. But even though it can be hard, that doesn’t mean that it is impossible; you just need to take little steps in the right direction. These mini-goals will help you to reach your big goal, and will make it easier to get you there. Start with step one and focus just on that for as long as need. Some people like to set dates they want to have each mini-goal completed by to keep themselves moving; so you could say you want to go the gym consistently three days a week and have it be a habit (or be completed two months after you start). The timeline is totally up to you, with the point being that it makes you keep moving forward with your goals. This set-up can be used for any sort of goals, personal or professional, individual or as a company. It gives every one the opportunity to successfully make changes and improvements and move their lives forward. Use this tried and true template (trust us, we tried it!) to get to work on creating the best you for yourself and for your company in 2019! For a large part of the country, it gets cold, wet, and unpleasant during the winter months of the year. Here in Colorado we feel it for sure; as do the contractors in Wisconsin, Iowa, Washington, and Montana among others; all you lucky people who live in Florida don’t know what we’re talking about, so you might need to skip this one. During winter, when it is cold constantly and dark at 4:30, work tends to slow down. It is hard to do some things in freezing temps and it takes twice as long to finish projects when you have so little daylight to work with. This trend leaves your salesmen bored, for lack of a better word. There are no projects building, no storms creating new business for them to find, and the holidays make it easy to slack off even more. So what do you do? You aren’t paying them to just sit around and take up space in your office, so you find useful tasks to keep them busy. Below we dive into some of our favorite tasks to keep the salesmen busy when it’s cold out. There is no such thing as too much training. Even your most seasoned salesmen can always learn something new. Use the down time to do different kinds of training with your guys. Work with manufacturers to get updated installation techniques or to learn about new products or warranties they are offering. You can also use training’s to talk about stress and time management when it is busy at work; work with the team to come up with methods to combat stress that everyone can use when everyone is crazy busy. New sales methods are coming out every day as well, so take this time to make sure all of your salesmen are up-to-date and evolving their methods for the current sales market. No matter what type of training you choose to do, it can’t do any harm. It keeps your salesmen minds on their jobs, and, hopefully, will get them thinking creatively for how to get more business when things start to pick up again. Similar to training, down time can be used for planning. Sit down with each of your salesmen and set goals for the next storm season. Or brainstorm as a group the best ways to find new business; see who has good connections and where other connections can be built. Get the salesmen to work together to plan sales tactics for specific areas that you know you want. The down time can be used to prepare for when things get busy and to find the best ways to tackle everything. It allows you, as an owner, to set standards and practices for how you want things to go in the next season. Just because they can’t necessarily be out in the field selling, doesn’t mean the salesmen can’t still be making sales and bringing future business into the company. Slow season gives them the opportunity to sit down and look at what connections they have to get business, and where they can improve those connections and try to get more. Depending on your specific sphere, there are a number of other businesses that can be great partners for bringing business into to your company. Use the down time to have your salesmen try and connect with people from those businesses; have them call, offer an introduction, see if they would be willing to sit down with your company. Doing this gives your company the opportunity to grow even when things are slow. Plus, this also gives the salesmen a chance to test out new selling techniques that you have taught them during this time as well! Slow doesn’t have to mean stopped. See what works best for your company, your people, and your goals and find ways to keep everyone busy year round. Gone are the days of documents being printed and filed by hand, and it seems that soon, the days of filling up your computer storage with those same files will be gone as well. More and more companies are moving document storage to the cloud, along with many of their other operations. With programs like Microsoft Office 365 and Google Mail becoming more user friendly and easier to manage, many companies are moving all of their online operations to cloud-based sites. Moving operations to the cloud can be a big change, and take some time to transfer and adjust when it is done, but in the long run it can make a big difference for companies. When email, documents, and software programs are all on the cloud it allows your company to expand its capabilities and reap the benefits of doing so. Keep reading to check out the biggest benefits of being cloud-based. Any more it is unlikely that someone has to sit in an office all day to get their work done. With smart phones basically turning into small computers and flexible schedules becoming more popular, people can work from anywhere. The cloud is doing its part to make that even more possible. When all of a company’s work is in the cloud it can be accessed from anywhere; so beyond being able to respond to emails and stay connected, people can actually solve problems and finish work while they are working at home, from a coffee shop, or their kid’s baseball game. Mobility means that people can get more done, and be more efficient even when they can’t be in the office, but also get to maintain a work life balance a little easier. When work can be done anywhere, it makes it possible for people to be a part of events and work their day around kid’s activities and other obligations outside of work. You know that feeling when you’re traveling for work and someone needs something that is done but it’s on your computer in another state? Or you took a few days off, but something big comes up and you don’t have access to jump on and help really quick? The cloud can help fix that. When everything is stored and organized on the cloud, no matter where you are you will have access to your email and all your files so that you can help solve problems or put in work if you have a little extra time. Having access to everything whenever you need it gives you the opportunity to be more efficient with your work and more effective in helping your coworkers and clients whenever they need it. No matter your job, you always have stuff. Paperwork, office supplies, files, folders, the list goes on and on of the stuff that sits in your office that you have to spend time trying to keep organized. Again, this is where the cloud comes to save the day. When your whole operation is stored in the cloud, it means all the paperwork and files and folders are too. It takes a lot less time to scan in documents and organize them in folders on the computer than it does when everything is physically in your hand. It also makes it a lot easier to find files when you need them, because you know exactly where they are. Using a cloud-based system can help keep you more organized in a more efficient matter; you don’t have to routinely destroy your office to get it organized again and it is easy to make changes to your filing system when you need to. Let’s face it, most contractors are basically the same. Within the sphere of work you do (roofing, plumbing, HVAC, etc.) you and your competition look a whole lot a alike. You offer similar services, for similar prices, with the same end result for the customer. So how do you make your business stand out over others? We have two words for you: customer service. Customer service is the one way that you can totally distinguish yourself from your competition; it allows you to create a specific identity for your company that no other company can replicate. Regardless of the type of work you do, almost any other contractor in your field can properly repair or install. They can all make sure it is done to manufacturer specifications and in line with city ordinances, so there is little you can do besides tout your expertise (even though everyone else is also doing that). Next step would be to potentially offer deals or discounts, but similarly to installing, there are only so many different things you can offer; between the legal restrictions and your own costs, you can typically do free inspections or sometimes discounted materials, but unfortunately, the other guys can do that too. So what can you do to make your company different? Make your customer service better. When it comes down to it, people aren’t really going to remember the installation and the actual work that got done. They are going to remember if you were helpful, efficient, and communicative. Making your customer service better doesn’t need to mean big changes within your company. Often it is the little, helpful things that customers remember and that can help you differentiate from other contractors. It can start at the very beginning before you even have a signed contract. Make the most of your initial contact, answer all their questions and address concerns, and follow-up with them after to make sure nothing else came-up after you left. This shows the potential customers that you care, and are invested in the project from the start. Communication is another big way to build your customer service reputation. In addition to following-up when you are trying to win business, stay in contact once you have the business. Over-communicating can actually be helpful; keep homeowners updated with how the project is progressing, let them know if there are problems with materials, keep them in the loop when work is happening and what that entails for their daily lives. This goes both ways as well, the more you communicate with them, the more they will feel like they can communicate with you. You want them to be comfortable enough with you and your company to call with any questions or concerns as the project goes on. Taking those calls, and taking the time to address those concerns can be the turning point for you over other contractors. You can also make them aware of product specifications, warranties, and what to look for in case something happens again. If the product has tell-tale signs that something is about to go wrong, let the homeowner know what those signs are and what to do when it happens to make the process smoother. If there are warranties or rewards available from either your company or manufacturers, make sure the homeowner is aware of them and help them get registered so that they won’t face more costs down the road. Going the extra mile to give them helpful extra information makes you look really good, and makes homeowners trust you more. Making homeowners feel heard, understood, and secure during a project makes a difference. It makes them more likely to come back you for more work, recommend you to people who need the same work done, and give your company good reviews. All of these things help to set you apart from your competition; if they aren’t taking the time to listen to their customers, than that puts you a step above them and when the race is tight, that can make all the difference.